This month’s newsletter contains reports from some recent events: the recent IPSI Case Study Workshop held at United Nations University Headquarters in Tokyo; a set of workshops organized by the CBD Secretariat in Guatemala; and a “UNU Café” featuring Ms. Yoko Watanabe of the GEF Secretariat also held at UNU Headquarters. We would also like to share information on the upcoming ISAP 2015 conference to be held in Yokohama, Japan and events related to it from 27 to 29 July. We also have reports of the latest newsletter from the COMDEKS Programme and a new manual on biodiversity and sustainable tourism from the CBD Secretariat. 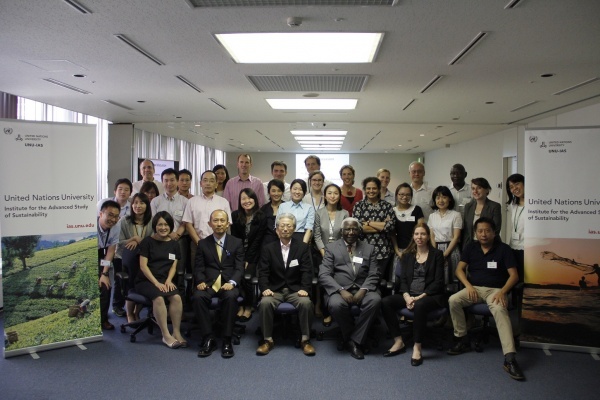 A workshop was held by the IPSI Secretariat with collaboration from the Institute for Global Environmental Strategies (IGES) from 24 to 26 June 2015 at the United Nations University Headquarters in Tokyo, Japan as part of a major effort to make the growing body of IPSI case studies more useful for practitioners and other stakeholders involved with SEPLS. The theme of this year’s workshop was “Enhancing knowledge for better management of SEPLS”, covering topics regarding ways to identify, collect, document, maintain, exchange, refine, augment and make use of information and knowledge for better management of SEPLS. Selected IPSI case study authors from around the world engaged in intensive discussions over the three days with many insights about challenges and potential outcomes of work in SEPLS. The workshop was held as part of the process toward the publication of a “Satoyama Initiative Thematic Review” with the same theme as the workshop, including write-ups of the case studies presented and a synthesis paper aimed at bringing together the various projects and extracting lessons learned. The publication is planned to be launched by the end of 2015. 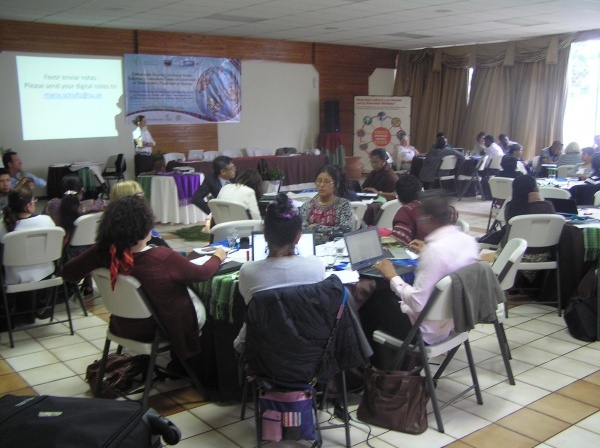 The Secretariat of the Convention for Biological Diversity organized three workshops in Panajachel, Guatemala in June 2015 related to Article 8(j) of the Convention, which deals with indigenous peoples and local communities and traditional knowledge: an “International Training Workshop on Community – Based Monitoring, Indicators on Traditional Knowledge and Customary Sustainable Use and Community Protocols, within the Strategic Plan for Biodiversity 2011-2020″ on 8-10 June; a “Dialogue Workshop on Assessment of Collective Action of Indigenous Peoples and Local Communities in Biodiversity Conservation and Resource Mobilization” on 11-13 June; and an “Expert Meeting on the Repatriation of Traditional Knowledge Relevant to the Conservation and Sustainable Use of Biological Diversity” on 14-15 June. IPSI Secretariat staff were happy to see many representatives of IPSI member organizations in attendance. Mr. William Dunbar of the Secretariat was invited as an expert for the first two workshops, and gave presentations on the Indicators of Resilience in Socio-ecological Production Landscapes and Seascapes project and its relevance to community-based monitoring and resource mobilization in the CBD financial reporting framework. More information on the workshops, including background reading and presentation files, can be found on the CBD website here. Longtime IPSI friend, Ms. Yoko Watanabe, Asia Regional Coordinator of Programs at the Secretariat of the Global Environment Facility (GEF), was the invited speaker at a “UNU CAFÉ” event held at the Headquarters of the United Nations University (UNU) in Tokyo, Japan on 8 July 2015. Prior to joining the GEF, Ms. Watanabe worked for the World Wildlife Fund for Nature’s (WWF) Mongolia and US offices, as well as in the Nepal and Mongolia country offices of the United Nations Development Programme (UNDP). At UNU CAFÉ, Ms. Watanabe talked about her career path and experience working at GEF and UNDP, and also her experiences working with the Satoyama Initiative and IPSI. More information on the event can be found at the UNU-IAS website here. The International Forum for Sustainable Asia and the Pacific (ISAP 2015) will be held on 28 and 29 July 2015 at the Pacifico Yokohama Conference Center in Yokohama, Japan. ISAP is a major event held each year, with speakers on sustainability from around the Asia-Pacific region and the world. The theme of this year’s event will be “Solutions for Change: Forging Multi-stakeholder Partnerships towards 2030″, with a focus on the Sustainable Development Goals (SDGs) and climate change. 1) The United Nations University Institute for Advanced Studies (UNU-IAS) and the Institute for Global Environmental Strategies (IGES) will hold a parallel session on “Satoyama and Sustainable Development:Bridging Project Financing and Knowledge Generation” during the International Forum for Sustainable Asia and the Pacific (ISAP 2015) on 29 July 2015 at the Pacifico Yokohama Conference Center in Yokohama, Japan. For more information about this event, please contact the IPSI Secretariat or see the event page on the ISAP website here. 2) The Education for Sustainable Development (ESD) programme at United Nations University Institute for the Advanced Study of Sustainability (UNU-IAS) will hold a symposium where the ProSPER.Net-Scopus Young Scientist Award in Sustainable Development will be awarded on 27 July 2015 at the Pacifico Yokohama Conference Center in Yokohama, Japan, back-to-back with ISAP2015 (see above). The ProSPER.Net-Scopus Young Scientist Award in Sustainable Development is given annually to young scientists or researchers, based in the Asia-Pacific region (excluding USA and Canada), who have made significant contributions in the area of Sustainable Development. For 2015, Awards will be given in the areas of Energy, Water and Biodiversity. More information about the event, including the programme and instructions for registration, can be found on the ProSPER.Net website here. 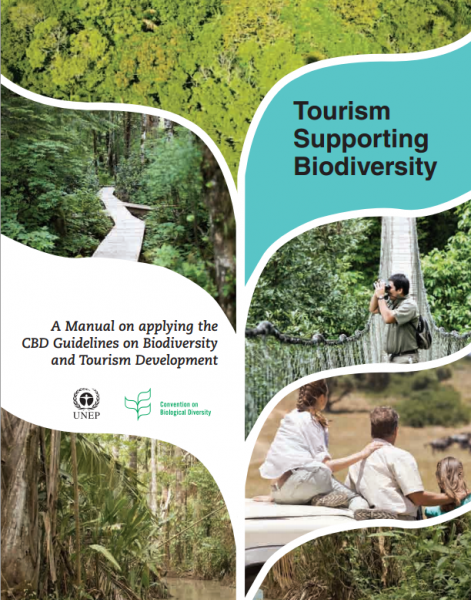 IPSI Member the Secretariat of the Convention on Biological Diversity (SCBD) recently published a manual presenting guidelines on sustainable tourism and management in sensitive biodiversity areas. Tourism and travel was one of the major themes of last year’s Satoyama Initiative Regional Workshop in Florence, organized by the IPSI Secretariat and member organization the Romualdo Del Bianco Foundation, so many members who were present at the workshop, and those who were not, may find many lessons to be learned from the new manual. The manual is available for download on the CBD website here.